UPDATE (11/14): Young Thug has been released from jail, per local news station WXIA-TV. The judge determined that he could return home under the condition that he agrees to random drug testing, undergo substance abuse counseling, and keep in contact with his probation officer. 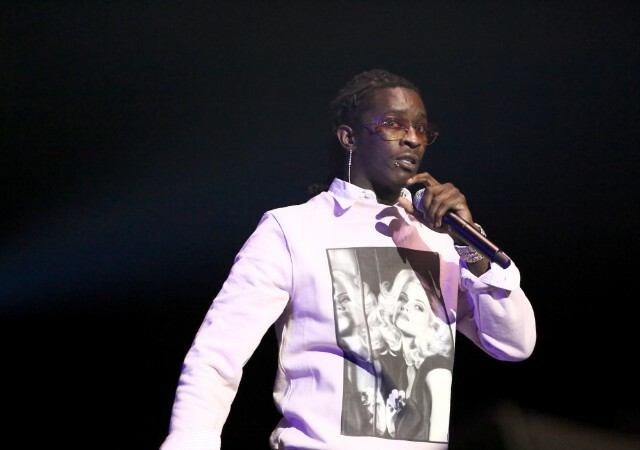 Young Thug is in jail again after failing a drug test, according to The Blast. The rapper, born Jeffery Williams, was on probation after he was arrested last year for drug possession after getting pulled over for illegally tinted windows. He was indicted with 8 felony drug charges. He was due in court today for an arraignment hearing for the charges, but was arrested on Wednesday morning for the failed drug test. The judge revoked his probation today. He was booked in Georgia’s DeKalb County Jail. Thug was arrested in September and released a couple days ago. He was also arrested in August on a felony gun charge while he was in Los Angeles.